BALIF - Join us for the BALIF + BAPHR SINGLES SPRING FLING! Join us for the BALIF + BAPHR SINGLES SPRING FLING! MR. RIGHT, ESQ. – Come Meet DR. RIGHT; and MS. RIGHT, ESQ. – Say Hello to DR. 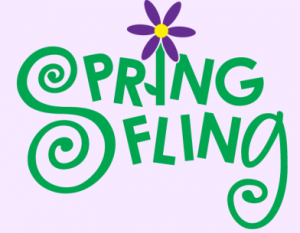 RIGHT Join us for the BALIF + BAPHR SINGLES SPRING FLING! Gay lawyers AND gay doctors ??? Now this will be a springtime to remember! If Valentines Day didn’t rock your world, here’s another opportunity to meet that special someone. Join us for an evening of festivities, frivolity, and fling! Free to all BALIF + BAPHR members and your guests. Be sure to RSVP to balif@balif.org. Bonus: Drink specials: $5 Well and $3 Beer. Extra Bonus: After the Singles Spring Fling, all guests are invited to join The Endup’s Shangri-La Party, with a live performance by Leslie Deep.